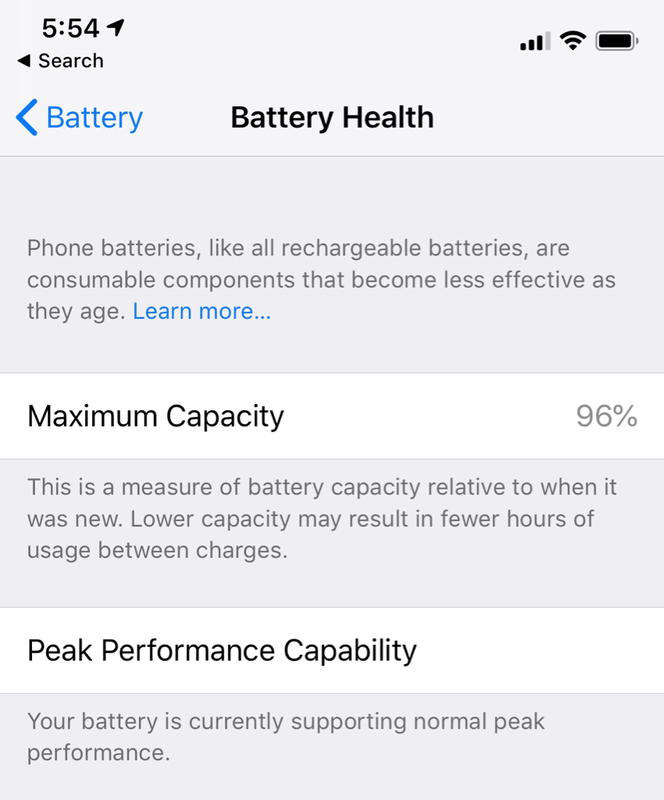 Got my iPhone X on launch day and my battery maximum capacity is 94%. How’s yours? 99% here. Of course, everybody’s usage is different. Last edited by mattguy10; 09-02-2018 at 10:56 PM. A similar thread can be found via the following link. Thanks! Do you do wireless charging most of the time? Just wondering because 99% I charge wireless. Not sure if wireless charging can affect the longevity of battery life. I don’t use my phone for gaming but I do use it a lot watching YouTube. I have never used wireless charging and I mainly use my device for messaging, social media, auctions and a phone. I do plan on getting a wireless charger in the near future. My launch day device is at 94%. I don’t use wireless with it...only my 8. Mine is from April 4th as I changed from 64 GB to 256. I was already able to trade in at T-Mobile. Mine is 100% and I only wireless charge. I use the Belkin charger sold at the Apple Stores. My X is 95% of a very high and satisfying 100%. I figure that if I use it more I will feed it more. Much like my Mercedes Benz. Mine since second day of launch and mainly on wireless charging, 95% now. Here is mine. I do use wireless charging when at home. Down to 97% after two months usage. Bit disappointed but not overly fussed as I’m on the Apple Upgrade Programme. 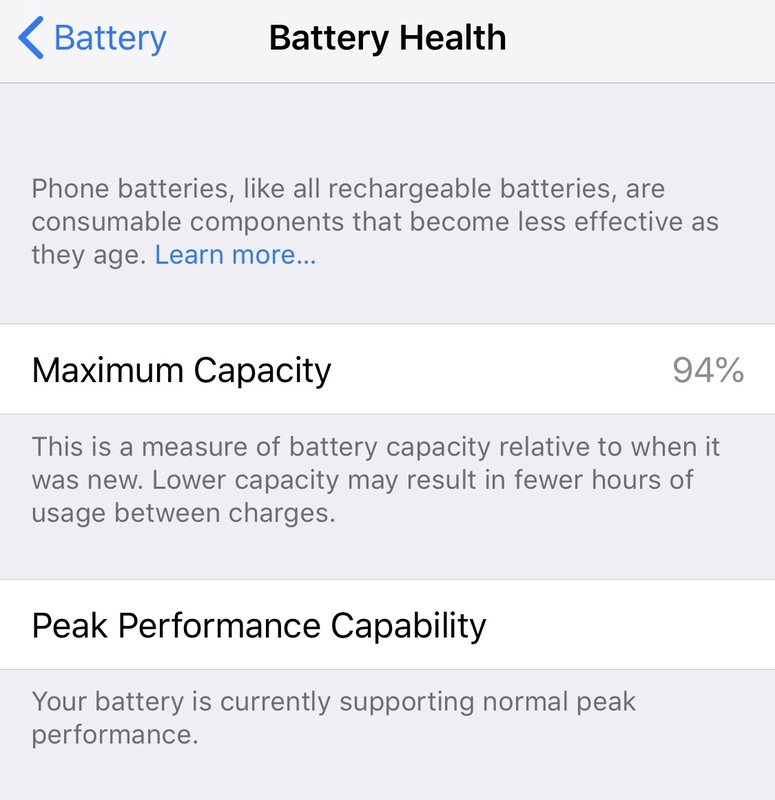 By the time the battery will cause me issues I should be getting the newest iPhone. Got my X since launch day and I’m at 95%. Thanks for all the feedback! Majority have the same battery percentage as my phone that I got since launch day. Now I know that I’m within the normal range. I got my SIM Free when it launched and I am still at 100% capacity, which I do use it a lot at least I feel I do but it seems like maybe not nearly as much as others. My X finally dropped to 99%. It’s a little over 5 months old. Name ways in which the smartphone has negatively impacted family life?